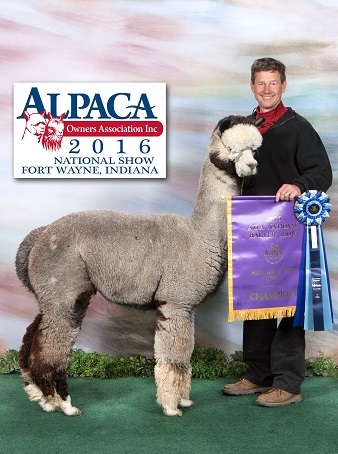 We have a long tradition of breeding quality gray alpacas and Cinzia is, without a doubt, one of the best gray females we have ever bred! As you can see she is beautiful and correct and well grown for a juvenile. Her fleece is nothing short of excellent. It is fine and very dense and universally well organized across her person. Simply said, she is the complete package! 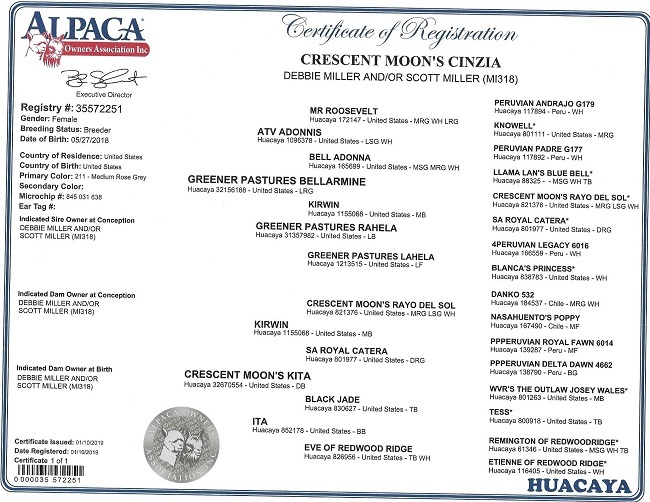 She is a daughter by Bellarmine so therefore we would chose Wilkinson for her first breeding and we wouldn’t even hesitate. Cinzia’s breeding is non transferable.